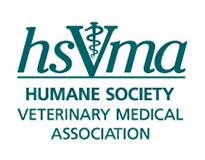 the Fourth Annual HSVMA Animal Welfare Symposium! Thanks to the hard work and dedication of HSVMA Student Representatives Renee Staffeld and Andrew Bashi, along with their faculty advisor, Dr. Erin Henry, the fourth annual Animal Welfare Symposium showcased several expert speakers at Cornell University CVM on Saturday, October 13. 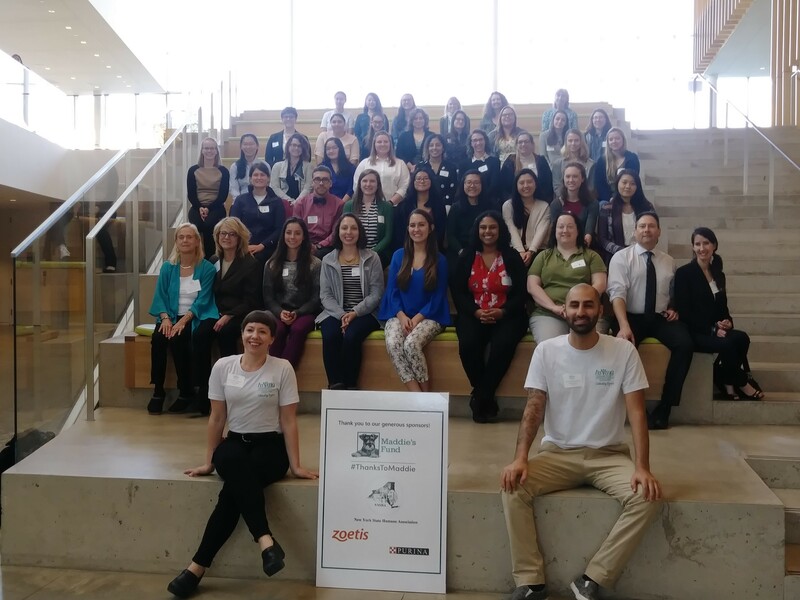 Approximately 80 attendees, including veterinary professionals and students representing 11 vet schools across the country, were present for a day of animal welfare topics ranging from street dog welfare in developing countries to street dog medicine for the homeless population. Travel stipends were provided to 17 veterinary students due to very generous sponsorships from New York State Humane Association and Maddie's Fund. Additional sponsors for the symposium were Purina and Zoetis. Dr. Andrew Rowan kicked off the symposium with a talk entitled "Global Dog Populations and Their Management." Dr. Rowan worked on this issue for many years as CEO of Humane Society International. His presentation outlined some challenges to humane management of street dog populations and presented some successful approaches. Pam Runquist, Senior Director of Veterinary Outreach for HSVMA, presented Dr. Rowan a plaque commemorating his time as Executive Director of HSVMA. Dr. Jon Geller, HSVMA Colorado State Representative, spoke on two very different welfare topics. His first talk, "Controversies in Wildlife Research," scrutinized several procedures and protocols used in wildlife studies. As a previous member of the National Park Service IACUC committee, he mentions practices that could be improved upon to make sure the animals being studied not only stay safe during the collection of data, but also benefit from the research in the long run. 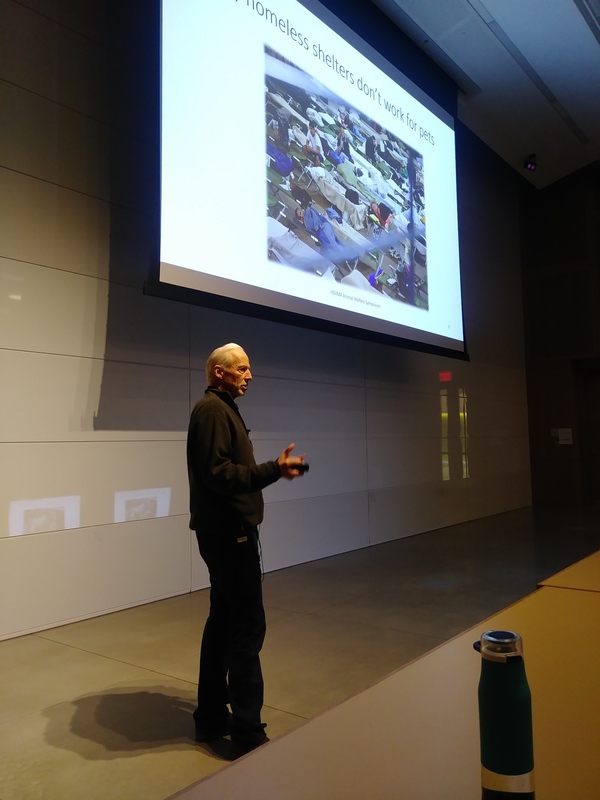 Dr. Geller's second talk, "Street Medicine: Caring for Pets of the Indigent," described barriers that the homeless population faces when trying to obtain veterinary care for their animal companions. The challenges are varied and Dr. Geller spoke about how his non-profit, The Street Dog Coalition, is trying to overcome the obstacles through education and providing free clinics for pets of the homeless and low-income families. Always a popular topic, "The Veterinarian's Role in Animal Cruelty Investigations" was given by Dr. Holly Cheever, HSVMA Leadership Council member. Dr. Cheever has extensive experience with documenting and testifying in cruelty cases. She gave examples from several of her past cases that helped illuminate the investigation process. Her knowledge on the subject matter and engaging style made this talk a favorite among attendees. 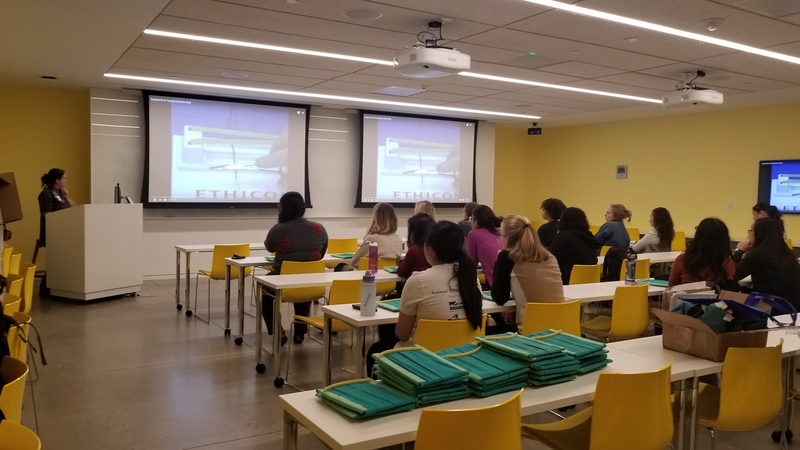 During the lunch break, two Cornell veterinary students gave brief presentations that served to inspire future conversations in animal welfare. Mariah Beck gave her talk, "Plastic pollution: an urgent issue for global animal welfare," and encouraged attendees to think about what they can do throughout the day to decrease their consumption of plastic products. Andrew Bashi, who was a practicing lawyer before attending veterinary school, gave his talk "From cage to cage: confronting human incarceration as a means of attaining justice for animals." Following lunch, Dr. Eileen Jefferson, HSVMA New York State Representative, and Brian Shapiro, HSUS New York Senior State Director, gave an insightful talk on "Humane Community Cat Management Through Trap-Neuter-Return." Both speakers have personal and professional knowledge with this issue, which continues to be a polarizing topic around the country. Dr. Jefferson elaborated on how veterinarians can help solve the crisis through education and service through spay/neuter programs. Mr. Shapiro spoke to the effects of these cat populations within communities and how individuals can be involved with care and monitoring. The final presentation of the day was given by Dr. Susan Krebsbach, Assistant Director of the Program for Pet Health Equity at University of Tennessee. Her talk, "Access to Veterinary Care: A National Animal Welfare Crisis," shared the results of a nationwide study to identify the barriers to veterinary care. Dr. Krebsbach also introduced a program called AlignCare™ which will offer subsidized veterinary care to families in need. Funded by Maddie's Fund, AlignCare™ aims to help veterinarians provide care to pets who wouldn't normally receive basic, preventative care. After a day of inspiring presentations, a suture lab was offered to a limited number of student participants. The lab allowed students to hone their suture skills and learn about the techniques used during clinics with the Rural Area Veterinary Services (RAVS) program. Veterans of RAVS were on hand to help out with personalized instruction and to answer questions about the field clinics. As the suture lab was underway, another group of symposium attendees was networking with fellow students and speakers at Ithaca Beer Co. Some of the speakers and HSVMA staff were able to meet and mingle with attendees in a relaxed atmosphere and it was the perfect way to wind down a very busy day. The following morning several Cornell veterinary students volunteered their time at a pop-up clinic in Ithaca. This Street Dog Clinic satellite, headed by area veterinarian Dr. Catherine Cortright, was able to provide basic veterinary care to the animal companions of community members who don't normally have access to these resources. A grant from PetSmart Charities provided the supplies to make beds and blankets given to pets at the clinic. Thank you to all the volunteers who helped bring care to the community's pets! The location for the 2019 HSVMA Animal Welfare Symposium has yet to be determined, but wherever it is held, it will be sure to bring timely welfare topics to the forefront and showcase some amazing welfare advocates. Check back to our website in the spring of next year when we will announce the location of the fifth annual symposium!